Race Synopsis: In the perfect finale to an amazing career, champion Winx took out this race for the third time to record her 33rd successive win and her 37th victory in 42 starts. 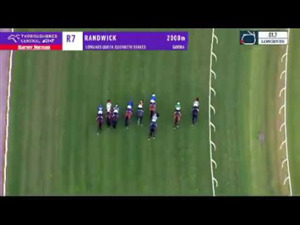 She settled well back in fifth place, improved nicely (deep) rounding the home turn, hit the front at the 200m and then went on to score comfortably. Japanese representative Kluger had a good trip in fifth place on the rails, improved well along the inner at the home turn, went to second at the 200m and then fought strongly for a very good second. Hartnell settled well in third place on the rails. He moved up well to challenge at the home turn and then battled on in honest fashion for third. Happy Clapper also had a good trip, racing in fourth place, improved rounding the home turn and then battled on for fourth, beaten six lengths. Tiger Roll makes history becoming the first horse since the mighty Red Rum to win back to back Grand Nationals.